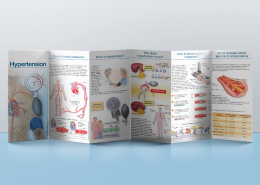 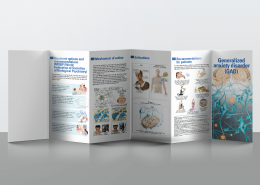 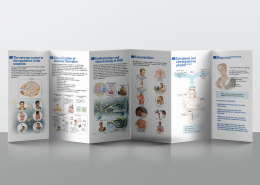 Our foldout brochure is a pocket-sized educational tool that breaks down all the fundamentals of a medical topic in colourful and concise images. 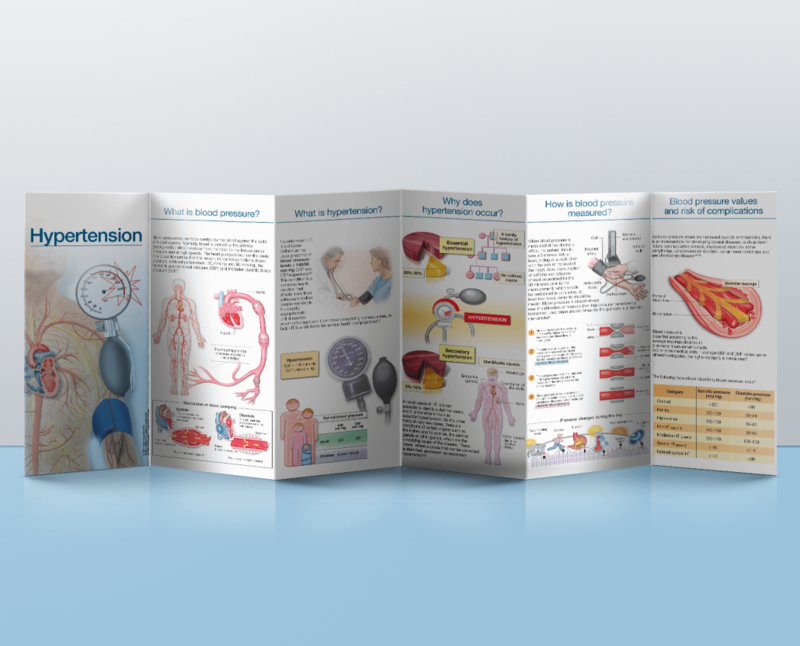 This print product is a best seller within our print range due to its convenient size and attractive finish. DESCRIPTION: This is a pocket size foldable brochure that the doctor can keep always at hand to explain to his patients hypertension and all of his related concepts. 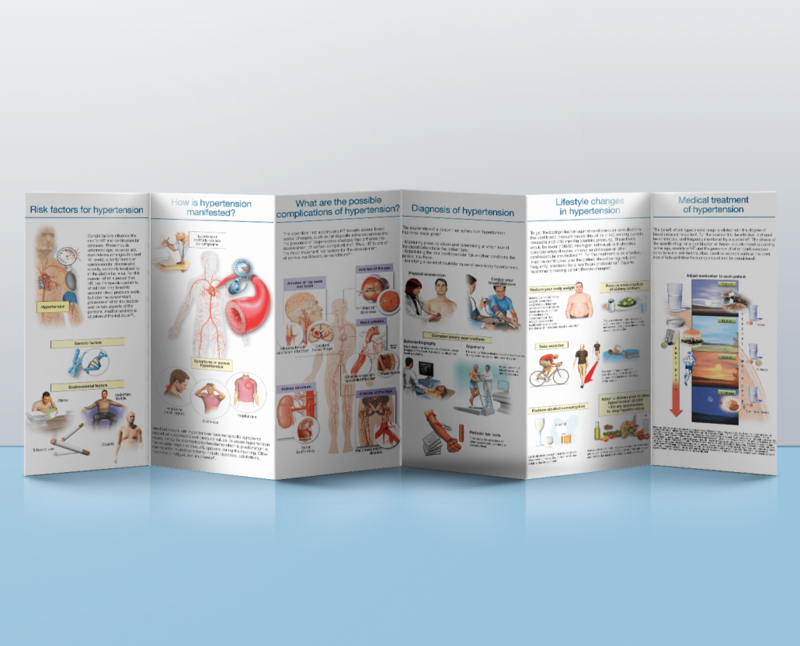 The panels conveniently fold to make its use easy and practical. 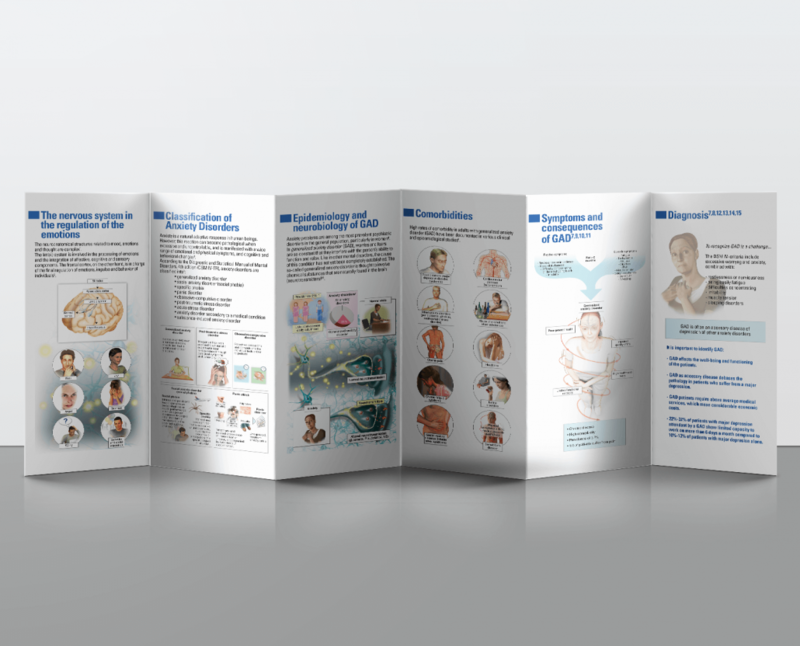 Each panel summarizes an aspect of the condition and is illustrated with simple color images accompanied of referenced texts written in a simple language that is intented to optimize the doctor-patient communication experience. 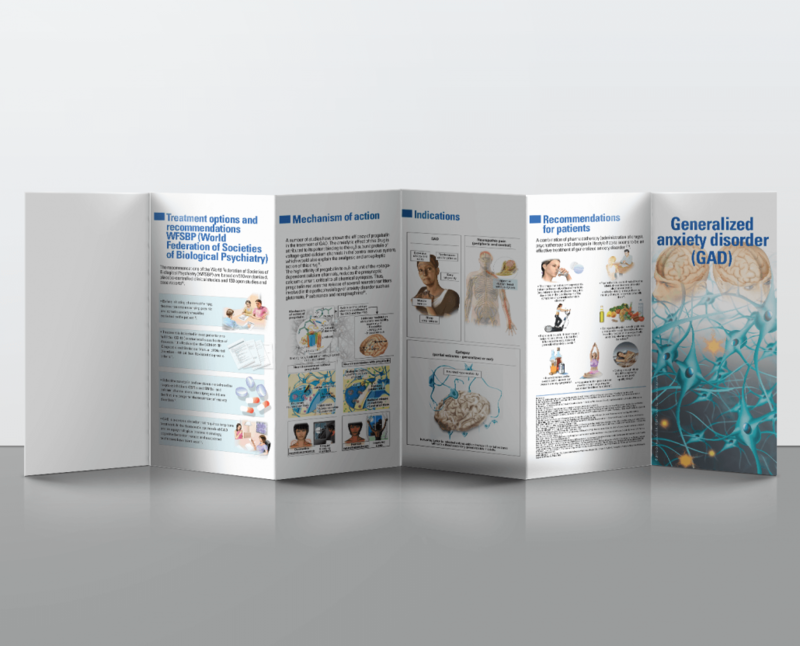 DESCRIPTION: This foldout 12-panel brochure covers through texts and illustration all the general concepts needed to explain generalized anxiety disorder (GAD) to patients. 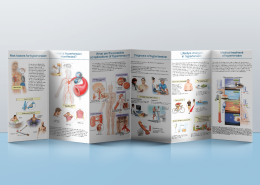 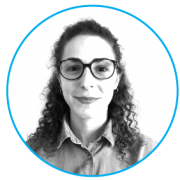 This product gives special attention to describe the treatment options and recommendations currently available to manage this condition.